Monterosso, Vernazza, Corniglia, Manarola and Riomaggiore. Poised upon breathtaking cliff tops, the picturesque haphazard villages of Cinque Terre fix their gaze upon the amber horizon of the balmy Genovese sunset. A postcard of the rustic Mediterranean Italy, these secret costal enclaves appear frozen in time. They offer an impression of mamma’s Italia, with an enchanting ambience of longstanding local tradition. Fishermen, in their quaint blue-green wooden boats, rise before the sun everyday in order to bring in the menu of the day, which, without a doubt, will be meticulously prepared according to timeless recipes of each family’s grandmother. Here and there sound a vespa or two wandering the labyrinth of narrow colour-splashed streets, which along with lapping sea-shores, the chit-chatter of the older generation and a passionate shrill from a member of the younger, form a perfect soundtrack to the quintessential Italian experience. 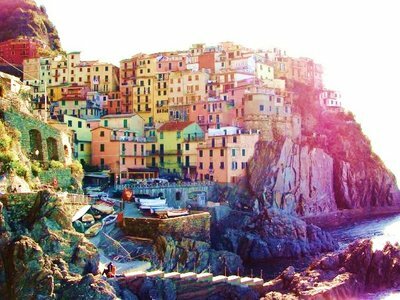 The five Ligurian villages which make up the area of Cinque Terre, have always been important in terms of wine production and since the days of the Romans, their hair-raising cliffs have housed intricate terraced vineyards. In 1276 Cinque Terre became part of the Republic of Genoa which instigated the beginning of large scale agricultural commerce. The exchange of products with neighbouring communities and towns and cities further afield proved extremely advantageous for the area, and lead to a large extension of the vineyards and an important increase in maritime trade. Still today the prized wines of Cinque Terre, Sciacctera and Limoncino are produced in the area following a centuries old technique ensuring their exquisite flavours, and a glass or two is a must for every visitor to the area. The best way to reach Cinque Terre is by train. From the nearby port city of La Spezia you can take a local train directly to the villages. Tickets are available there and then from the station. Accommodation is not particularly easy to find in Cinque Terre due to its relative isolation and limiting cliff-top position. 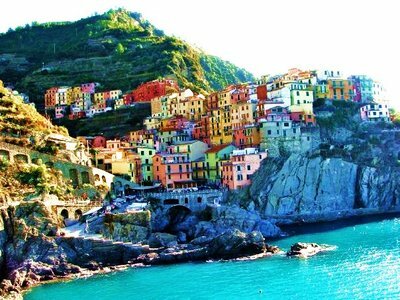 However the lack of mass tourism is precisely what gives Cinque Terre its Dolce Vita charm. Many tourists take a day trip to the area rather than stay for a conventional coastal holiday, and stroll along the dramatically beautiful hillside paths which link the five villages together. From there the terracotta, lemon and rosey rustic houses so oozing of stereotypical Mediterranean charm look their finest, and on a warm summers eve the sunset squeezes out every shade of colour throwing them against the shimmering azure sea. 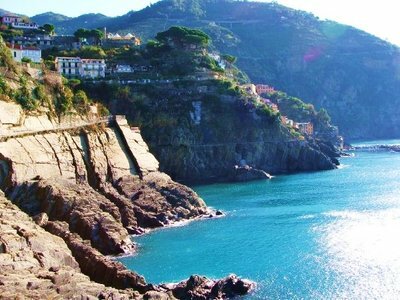 Although perhaps lacking in the fame of nearby Portofino and its southern rivals of Amalfi and Capri, Cinque Terre is the perfect destination for anyone seeking the romantic Italy of years gone by. Swirling veils of mysterious mist. Majestic, domineering heights. Violent, winding rivers. And above all, the promise of an unforgettable moment. 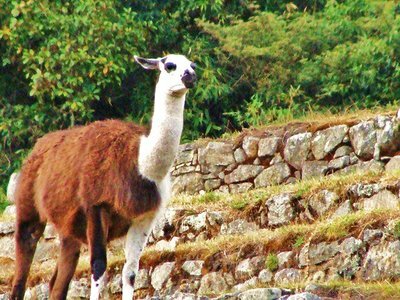 I will never forget the journey from Cusco to the timeless jewel of the Inca Empire, Machu Picchu. Upon leaving the city, you notice at once, traces of a once glorious past, of a lost kingdom. Through exotic flora you catch a glimpse of broken ruins that whisper of times of opulence. As you climb higher and still higher again, it feels as though you are about to reach the summit of the world, and the distance between earth and the vast grey-blue canvas above seems increasingly shorter. Low, moody clouds enchant us visitors and the dramatic shadows of dawn compete for our attention. They tell us that we have nearly arrived. That soon we will lay our eyes upon it. That just a little further on, a giant awaits. And all of a sudden she appears, her majesty, Huayna Picchu. She guards her city with her head held high and congratulates the humble traveller. Like a well loved sovereign she poses for the cameras of her loyal subjects and greets them with grace. 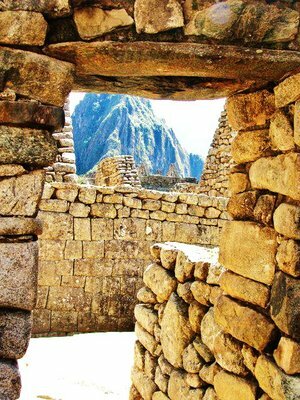 ‘Welcome to my kingdom’, she announces, ‘my beloved Macchu Picchu, my Inca footprint’. And there, us visitors spend the day amongst echoes of an empire, where mysterious and wonderful pieces of the past paint a picture of the splendour that once was. 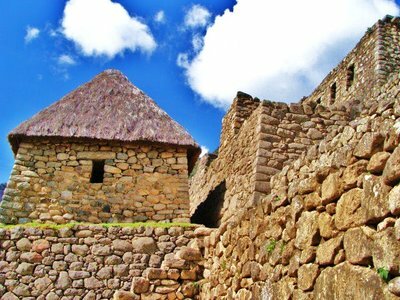 Vast boulders suggest a mighty fortress and empty houses a vibrant population. Sun dials and strange shapes delineate a powerful, mysterious and unfamiliar culture. Here and there wander a lama or two, who today are well accustomed to their daily audience. Their bored expressions have a pompous air about them and their posture demonstrates proudness in knowing that it is now they who govern this ancient imperial throne. 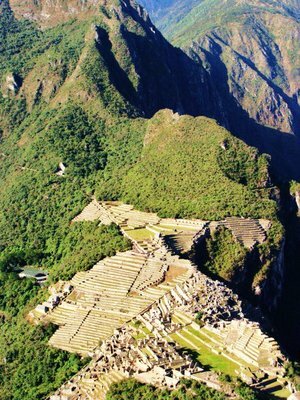 Visitors have the option of climbing to the highest point of the landmark, the peak of Huayna Picchu. From there, you have what seems like an infinite view of the world. You feel as though you are sitting at God’s side with the sky at your fingertips, gazing at the world below. You can see for miles and miles, and in a sense you can see for centuries as you contemplate how the history of the area has unfolded. 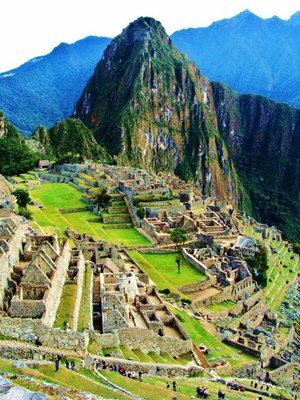 And as you sit at the summit the dream of you and many more adventurers comes true, as you look out and in awe, and feel that you too have now experienced a part of the great Inca footprint.